The philanthropic professionals at the North Carolina Community Foundation can help ensure your year-end giving goes smoothly, whether you’re creating an endowment or adding to existing charitable funds. If you’re interested in how to start a fund and learning more about which approach makes the most sense for your charitable objectives, we invite you peruse our Create a Fund section on the website here. Use appreciated securities: The IRS allows a charitable tax deduction on the full fair market value of your gift if you have held the stock for more than 12 months. You may also avoid capital gains on the appreciated portion. To make a stock gift to NCCF, please email John Hartley, NCCF director of finance, or call him at 919-256-6918. Open or add to a donor advised fund: If you seek a 2015 tax deduction for charitable gifts but aren’t sure of which charities you wish to support, consider opening a donor advised fund with NCCF. You may claim an immediate tax deduction, but decisions as to which specific charities may benefit can be deferred. To open a donor advised fund, please email Beth Jenkins, NCCF vice president for development, or call her at 919-256-6932. Charitable IRA rollover: This provision was just permanently enacted into law and enables donors age 70-1/2 or older to donate up to $100,000 from their IRAs without first counting the distribution as income. Though the provision is not currently extended to donor advised funds, many other types of funds at NCCF qualify, including scholarships, designated and agency funds and community grantmaking funds. For questions, please contact Beth Jenkins. 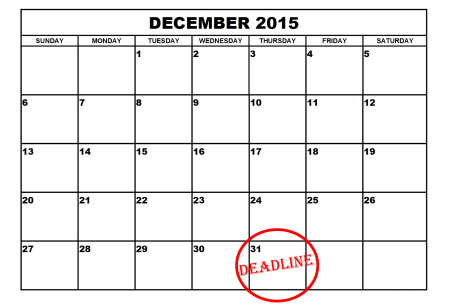 To make a gift online: Remember to make your gift to any NCCF fund by midnight, Dec. 31, 2015. To make an online gift, click here or the GIVE NOW button on any NCCF web page. Holiday office hours: Our offices will be closed Dec. 24, 25 and 28. We will reopen on Tuesday, Dec. 29 through noon on Dec. 31.